Talk about a flavor & texture overload! 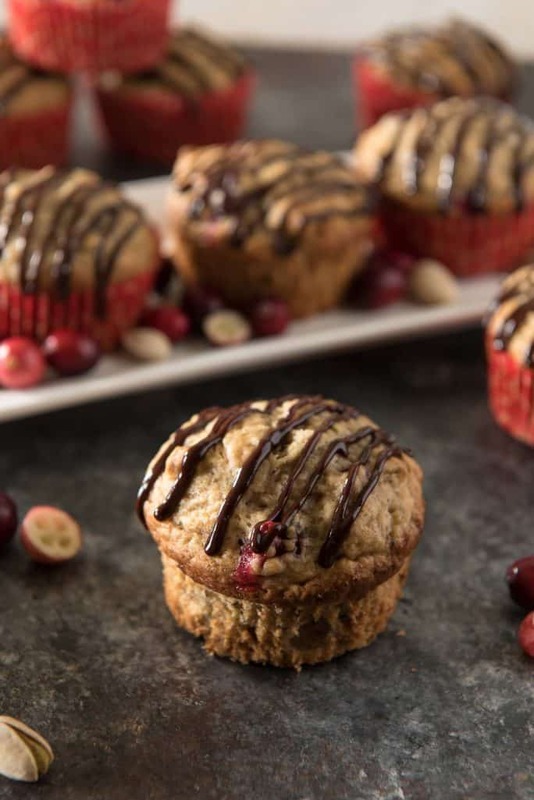 Be the hero your family needs and serve these Banana Cranberry Pistachio Muffins with Chocolate Glaze for every holiday breakfast! It’s been exactly ONE MONTH since my last pumpkin flavored post. I know, I know. I, too, am in shock. You all know I am The Most Basic Girl That Ever Lived, so the fact that fall is half over and there weren’t even gourds on my front page for Halloween is kind of a big deal. Of course, don’t think I’m over it – I’m still pumpkin spicing up everything in sight. But rest assured, this isn’t a pumpkin recipe, either. 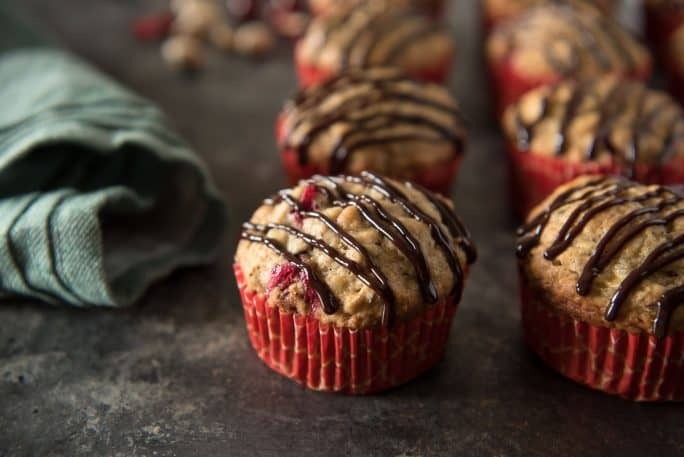 Banana Cranberry Pistachio Muffins with Chocolate Glaze! …these are definitely one of my favorite things to come out of our kitchen this season. 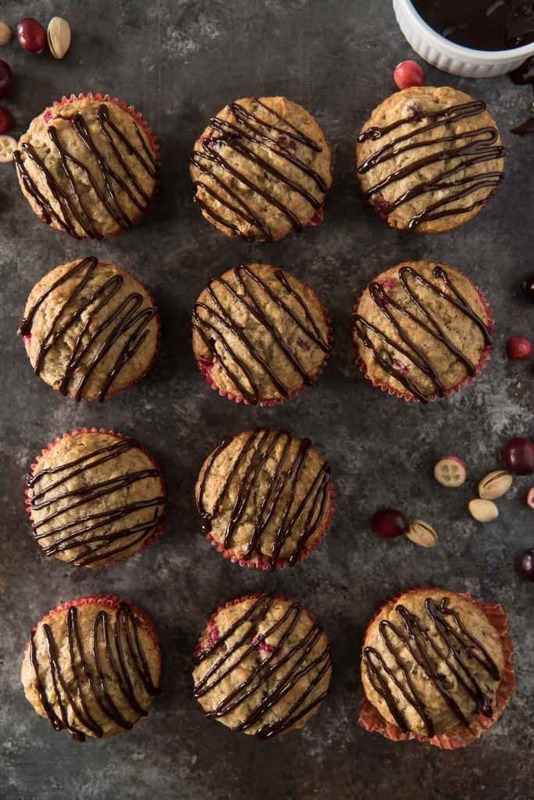 They’re actually the most glorious combo of banana bread, holiday cranberry, and pistachio chai, with just enough chocolate to tie it all together. Annnnnnnd they’re muffins, so they’re completely convenient, portable, and definitely hard to stop eating. I honestly should never make muffins. Abe and I can tear up an entire batch in 2 days, easy. I wish I could say the same about salads. 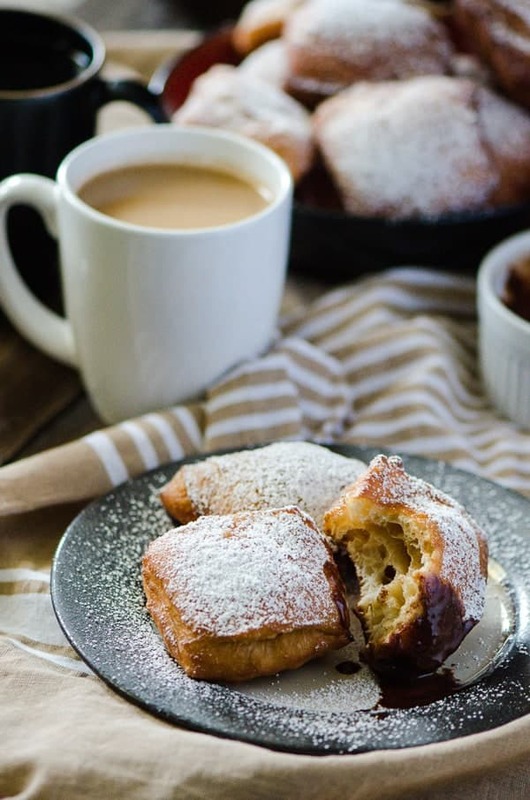 These would look so pretty on your holiday breakfast or brunch table, don’t you think? 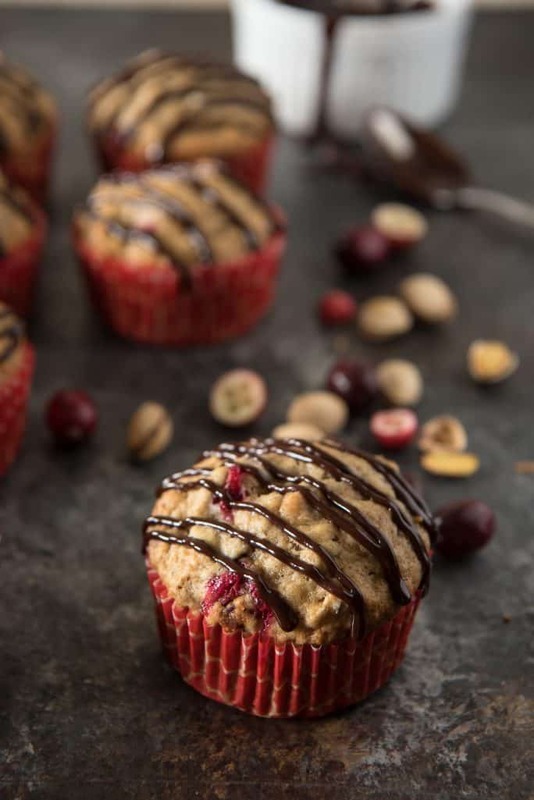 I was a little conservative with my chocolate glaze drizzling on these banana cranberry pistachio muffins, but you are more than welcome to go crazy if you want. Just because these look pretty and styled and imperfectly perfect doesn’t mean I didn’t dunk these bad boys into the bowl of chocolate back there between each bite. That said, more chocolate has never ruined any recipe in the history of food. Don’t bother arguing if you feel otherwise because I’m not listening to your nasty slander. Hell, if you want to whip a batch of chocolate ganache, pipe it on, and turn these into cupcakes, you’d pretty much be my hero. When’s brunch? 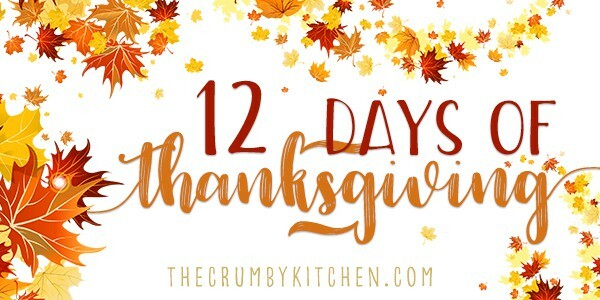 How have you guys been enjoying the 12 Days of Thanksgiving? Have you started planning your menu for next week yet? Have a look at ours and see how yours compares! Preheat oven to 350°F. Line a standard 12-muffin pan with cupcake liners, or spray the cups with non-stick cooking spray. Set aside. Mix flour, sugar, baking powder, baking soda, chai spice mix, and salt in large bowl. In a separate bowl, mix mashed bananas, egg, melted butter, brown sugar, milk, and vanilla. Stir the banana mixture into dry ingredients just until blended (do not overmix). Gently fold in the cranberries and pistachios. Divide batter evenly into each muffin tin, filling each about 3/4 to almost full. Bake muffins until tops are golden brown and a toothpick inserted into the center comes out clean, about 20-22 minutes. Transfer muffins to rack and cool. Combine the butter and chocolate in a saucepan over low heat. Stir until melted. Whisk the powdered sugar into the butter-chocolate mixture. Continue whisking and gradually add boiling water until the mixture reaches your desired consistency. Add more powdered sugar if it comes out too thin, more water if too thick. Whisk in the vanilla last and remove from heat. Allow to cool slightly. Drizzle or pipe over the cooled muffins. Return it to the heat if it thickens. 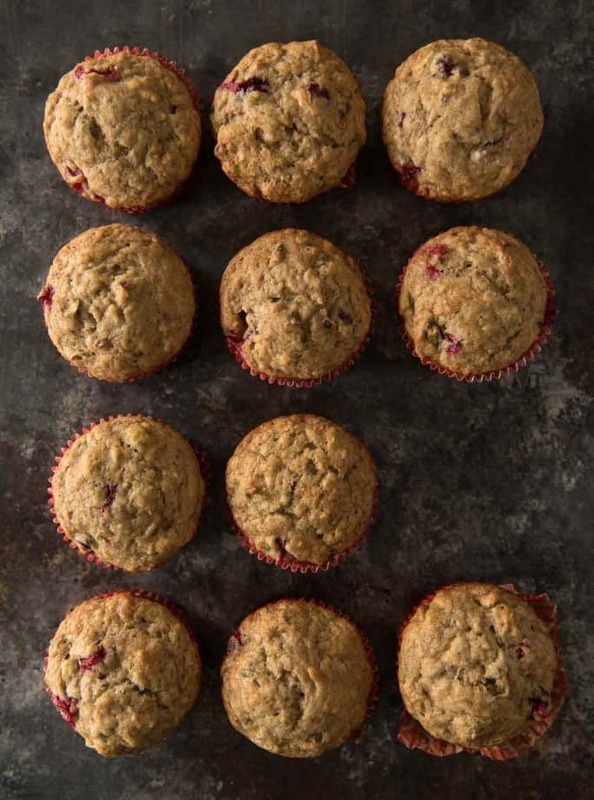 Still need more muffins recipes? 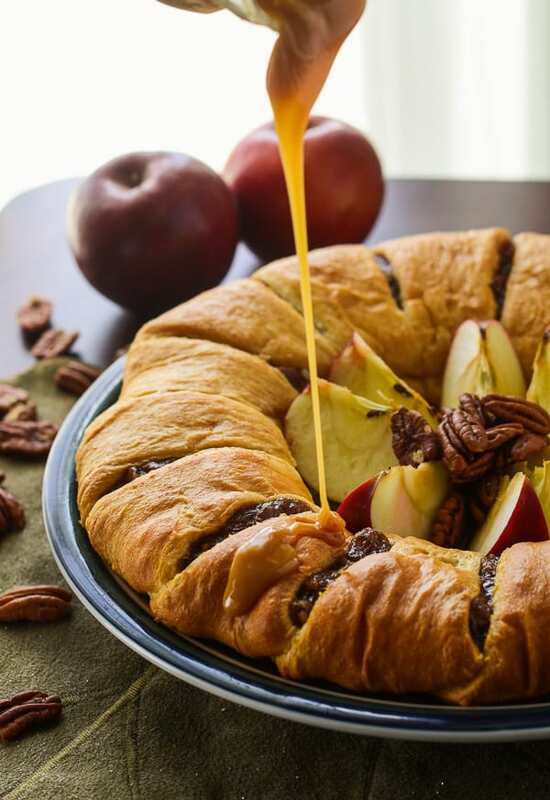 Why not whip up one of these other great fall breakfasts, too?! 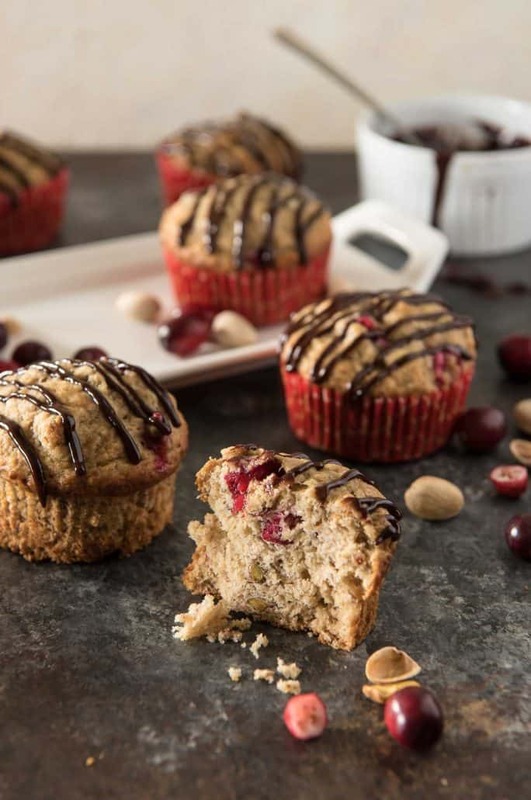 These sound delicious, although pumpkin and cranberries do pair very well together. 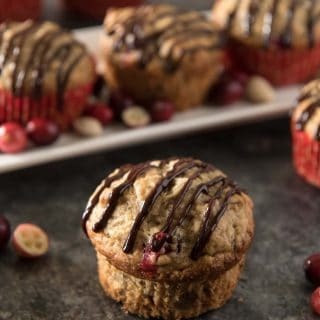 I have never paired bananas with cranberries but this recipe has inspired me. 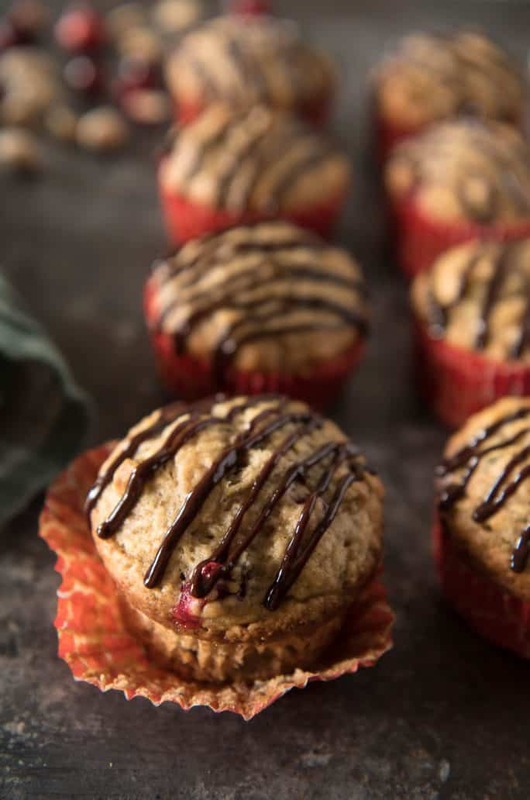 I love how pretty these muffins are…they would be perfect to bring to a brunch! Woah! This looks really good and I am thinking of serving this for the holidays. The chocolate glaze is just perfect. Thank you for sharing this wonderful idea. I am so excited to try this.